Then check out “The night my world caved in” at Blog Nosh, which is a round-up of great blog writing. This essay, written by Dawn Friedman of this woman’s work, takes on the issue of body image. I liked it. And finally, a small fact, which I wanted to include in “Summer flesh,” but couldn’t make it fit, but now I can. 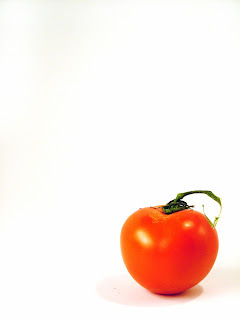 … The U.S. Supreme Court weighed in on the debate over whether the tomato is a vegetable or fruit. In 1893, it ruled it a vegetable, despite the plant’s ovaries, because it’s generally served with dinner, not dessert.